The Jayme’s Bears Project was launched in 2012, inspired by the mitzvah (or “good deed”) Jayme undertook when she was 12. 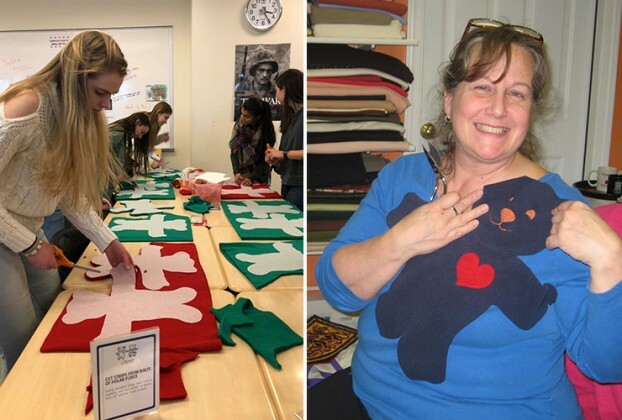 She hand made 40 fleece teddy bears for hospitalized children at the Jimmy Fund Clinic in Boston, MA. Each bear also carried a special message. 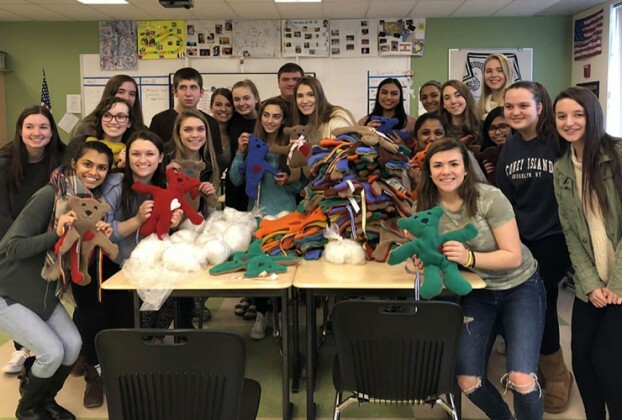 Today, The Jayme’s Bears Project provides hand-sewn bears for children living through difficult circumstances locally and around the world. 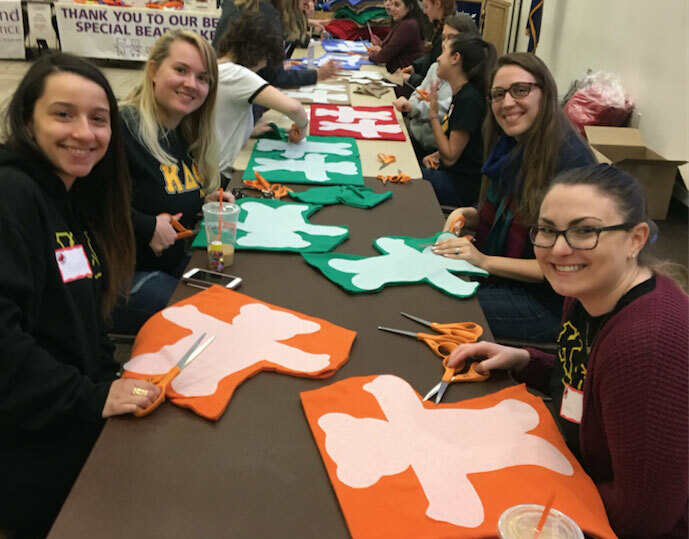 Volunteers, who generously dedicate their time, energy and talents, create the bears. 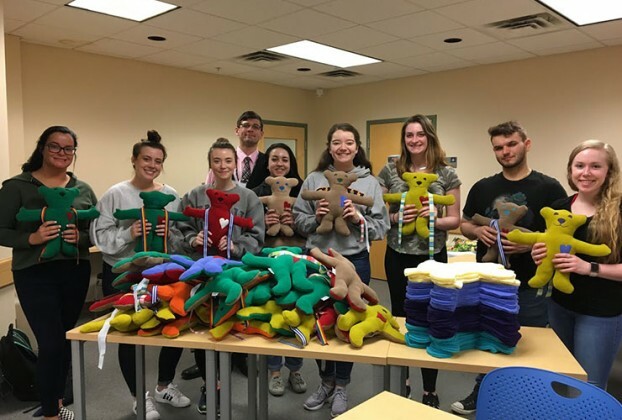 Community sew-a-thons are currently held throughout the year in New Hampshire. Local schools, universities, businesses and community groups are encouraged to become involved. 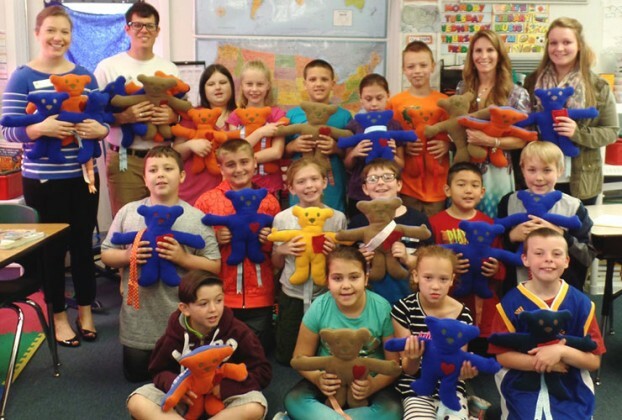 To carry on with Jayme’s tradition, each bear is uniquely crafted and carries a positive message. 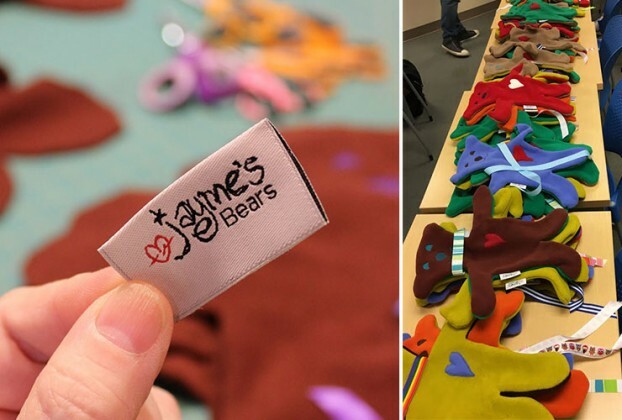 Each Jayme’s Bear come in a tote bag, donated by the Timberland Company, and include the booklet Jayme’s Bears, meant to comfort and provide encouragement to children in-need. 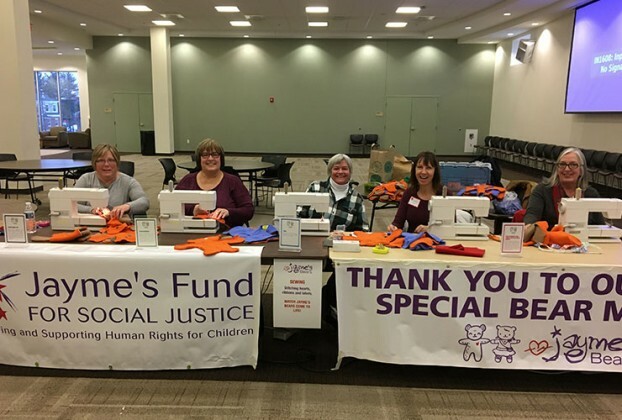 Jayme’s Bears are given to and distributed by hospitals, shelters, police and fire departments, and international organizations that work with children. 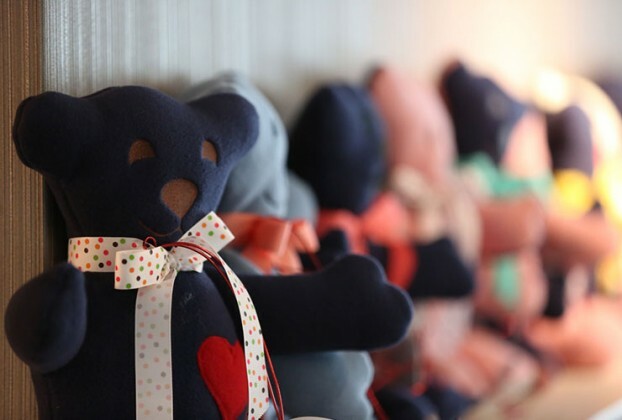 In the programs first year of existence, over 300 Bears were created and distributed. 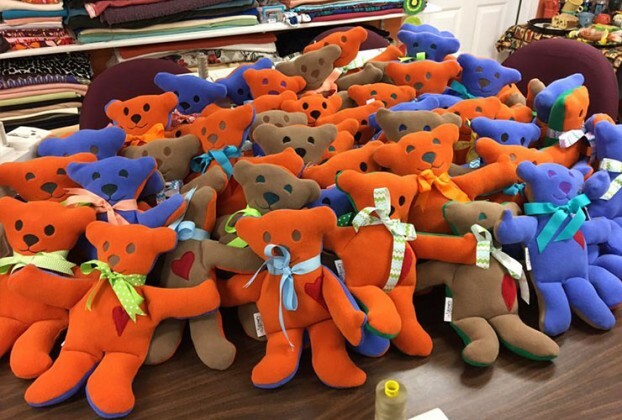 To date, more than 700 Bears have been sewn and distributed. 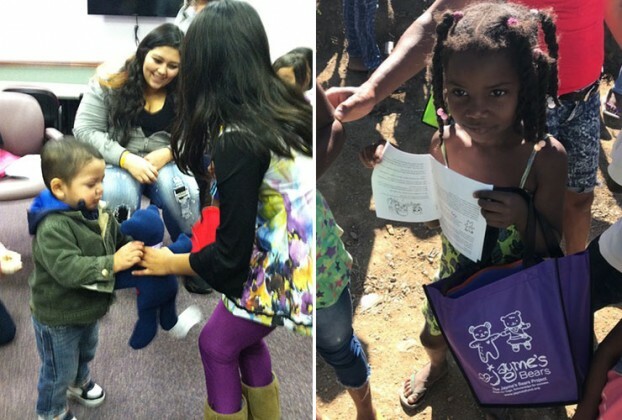 A portion of the funding raised from The Jayme’s Bears Project is allocated to Scholarships for Success! Listen to “Jayme’s Ballad” by Joseph Kozdra. Released: 2013. Download MP3. Jayme’s Bears are also been given to JFSJ event attendees.